Trudis Place | Alona Beach Hotels and Resorts | AlonaBeachGuide.com - your guide to amazing Alona Beach on Panglao Island, Bohol, Philippines! 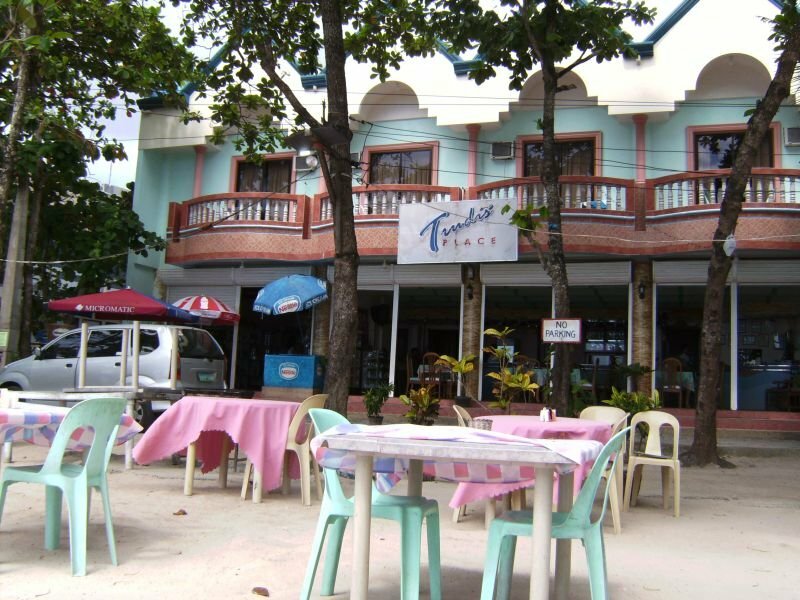 Trudis Hotel and Restaurant is right next to the main road leading to Alona Beach. This is one of the cheaper places to eat and a good place to hang out and look at the ocean. While not the cheapest place to stay, rooms start at P2000 which includes breakfast.